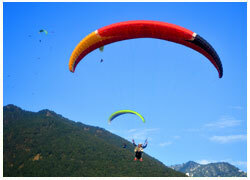 How to Plan the Best Paragliding Camping & Trekking to Dharamshala Barot Bir Billing ? Dharamshala is located in the upper reaches of the Kangra valley in Himachal Pradesh and is placed at an average altitude of 1,475 meters above sea level. The city is surrounded a thick cover of deodar cedar trees and is one of the major strong holds for the Tibetan refugees and the seat of the 14th dalai lama of the Tibetan sect of Buddhism. The town due to its picturesque surroundings and the presence of the Dalai Lama has made the town a popular tourist destination, both for the Indians and the foreign tourists. 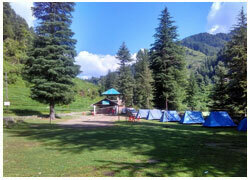 Trip Duration: 2 Night & 3 Days Location: Bir-Billing, Bainath, Himachal Pradesh. 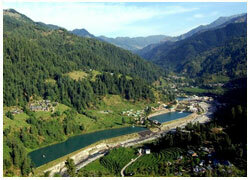 Trip Duration: 4 Night & 5 Days Location: Bir-Billing, Bainath, Himachal Pradesh. Explore the most beautiful places full of adventure like Dharamshala Barot Bir Billing and witness the special recreational adventures like paragliding, trekking and camping. Dharamshala can be visited during all times of the year except for monsoons which can experience rainfall upto 120 inches. The best time to visit is usually the autumn months of October and November which also mark the beginning of the festive season in India. Snow is common in the upper reaches of the town which also attracts several tourists during the winters. In and around Dharamshala, one can visit the Nuddy, Macleodganj, Kangra Art museum at Kotwali bazar, War memorial, YOL Camp, Church of St. John in Wilderness, Bagsunath waterfall, Kunal Pathri temple and tea gardens on way to Kunal Pathri. 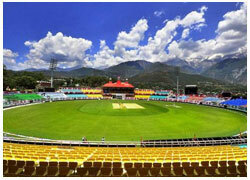 There is also a beautiful Cricket stadium in the city facing mighty Dhauladhar. Recently IPL (Indian Premier League) matches has been organised here. 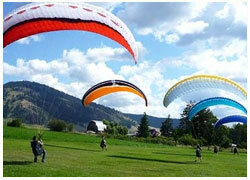 Bir Billing take off site is one of the world’s top 5 places for Paragliding and 2nd highest in the world. 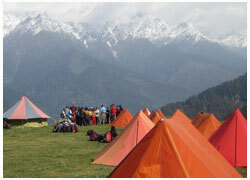 Billing lies in Himachal Pradesh State of India at an altitude of 2400 Meters. Paragliding can be done solo and Tandem. Bir Billing successfully hosted paragliding world cup in 2015. Many pilots from around world from 140 countries participated Paragliding take off point is Billing which is 14Kms from Bir. You can reach Billing by road or trek through the mountains. By road it will take you approx 30 minutes and trek will take 3-4 hours as per your speed.Landing happens at Bir near Tibetan colony.Total flight is of 25-30 Minutes. You have an option to attach Go Pro along with your Glider for recording your flight. Barot valley is a specified as best travel destination in Mandi District of Himachal Pradesh in 2015.Barot is a small hill station at the altitude of 1700 mts from sea level in the both banks for river Uhl. Uhl river is first in Country which is used for generation hydroelectricity. Barot is also known for Trout fish and this hill station has trout breeding form operating by Himachal Pradesh fishing department of Agriculture University, Palampur. 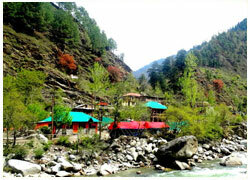 Barot Valley is not only known for its man made projects but recognized as most beautiful destination in the area.Barot Valley is providing vast range for Tourism activities.